These glazed pecans are coated with a buttery brown sugar syrup and then baked to crunchy perfection. 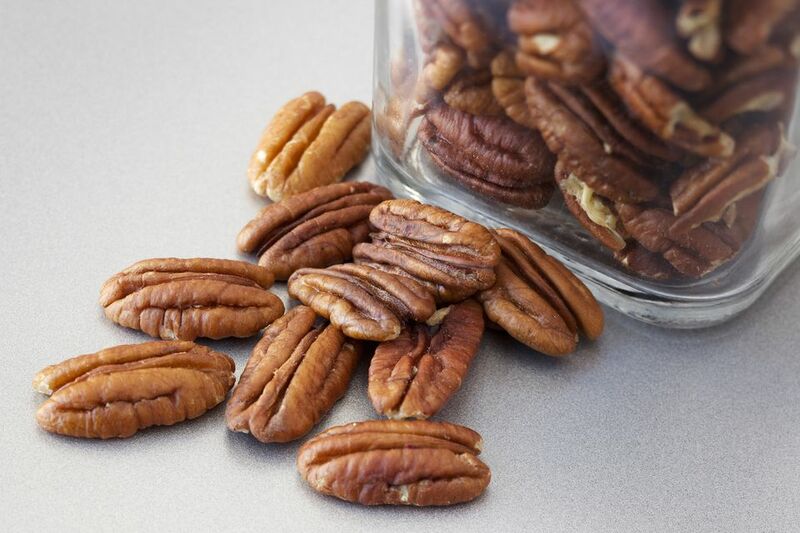 These candied pecans make a fabulous snack for holiday guests and parties. Or make up decorative containers with the pecans and give them as gifts. Line a large rimmed baking sheet (half-sheet pan) with parchment paper. In a large, heavy saucepan or deep skillet over medium heat, melt the butter. Add the corn syrup and brown sugar and cook, stirring constantly, until the mixture boils. Add the pecans to the syrup mixture and cook for about 3 minutes, stirring constantly. Spread the syrup-coated pecans out on the prepared baking sheet. Bake in the preheated oven for about 7 minutes, or until the pecans are browned. Cool completely and transfer to a covered container.